With Albumora, every design feature is customizable. To give an original touch to any of the pages in your calendar, you can add, move, delete photos or texts, you can change layouts and choose from hundreds of backgrounds or stickers. Long story short, you're granted 100% control and creativity. As a starting point for your calendar, you can begin with any theme created by our designers - you're free to customize all elements in creating a unique and personal calendar. All Albumora themes are created based on an event or a category of events. 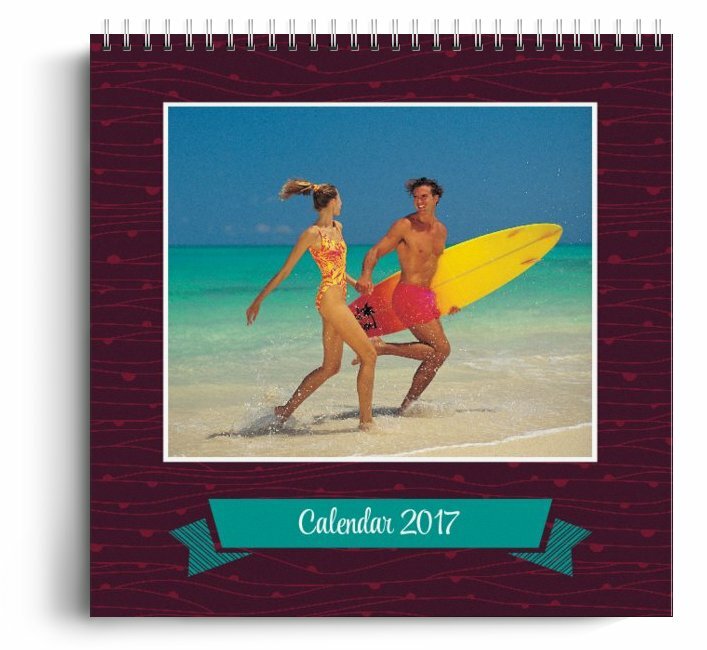 A calendar's theme is made up of 6-12 drawn backgrounds using the same style and color palette, default layouts for your pictures and stickers based on the chosen event. Regardless of the selected theme, it can be changed within the application so that you could have complete freedom. Attention: With changing the theme and size, your photos will rearrange based on the new theme's default settings. For more information concerning the Albumora application, please see our help section. Attention: Not all sizes are available for each type.